What drew me in straight away was the cover, look at that! It's gorgeous and macabre all at the same time. I would classify this is a a YA coming of age story but one that adults will love too. There's lots of really cool elements of fairy tales tropes and fantasy which I love. This is a book unlike anything I've ever read before and as a result it was one I couldn't put down. There's some really cool characters in this book which makes it so addictive, I loved the opposing natures of Bray and Brenik which the story centres around. 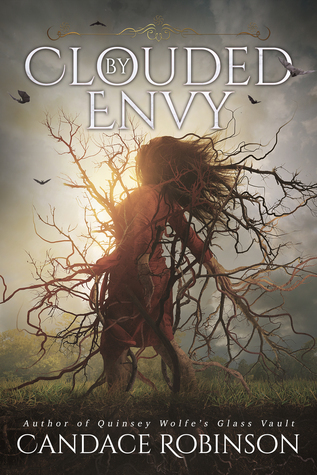 They are twins but life is much easier for Bray and her brother finding it harder to adapt after being abandoned by their parents soon becomes clouded by envy. This is a really original tale that whisks you away into another world! Clouded by Envy by Candace Robinson will be out February 2019!